We’ve written a few times about the changes that we’ve been working on for Data.gov to make it easier for users to find, understand, and use government data. Today you’ll notice even more changes to Data.gov – here’s a quick rundown of some of the main changes you’ll see, and why. The site is now responsive to the device you’re using. Pull up Data.gov on your smartphone or tablet and you will see the content adapts to your screen size. And we’ll continue to make more improvements on this over time. In this refresh, we emphasized a simpler design with more white space. We also made design decisions based on whether they helped or hurt users trying to complete tasks, and will be updating the look and feel regularly. 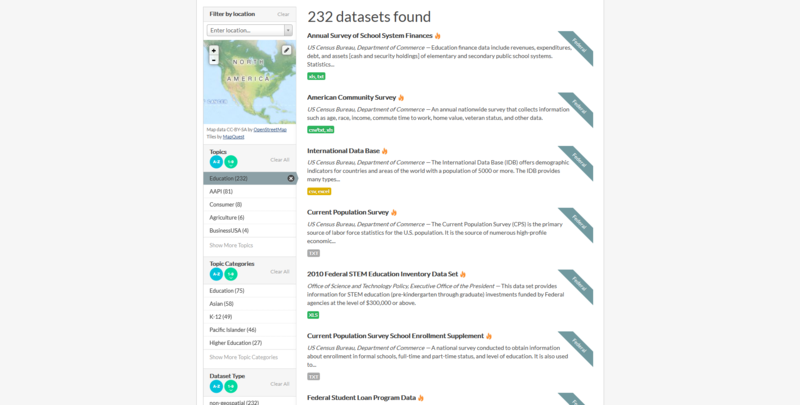 On the front page, we featured a rotating carousel and a list of the latest datasets as they were published by different agencies. 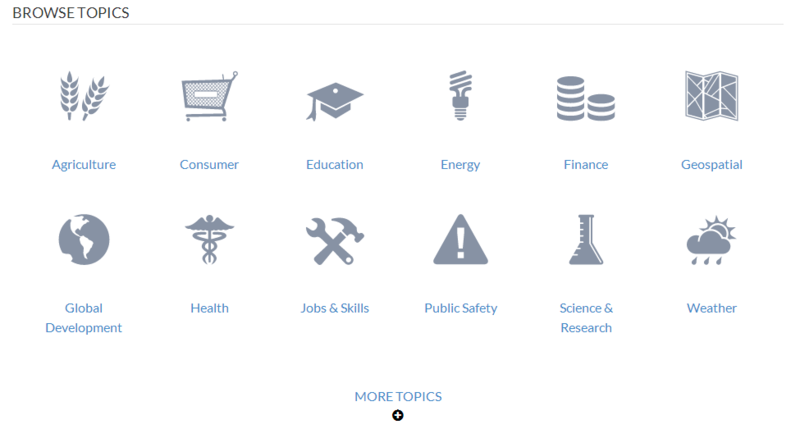 The updated site now has icons representing the subject areas that we’ve heard are most important to you. 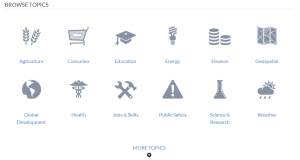 The new approach helps you quickly get to relevant datasets and examples. Previously, the website was built on a mix of open and proprietary systems, but the development, as with so many government websites, wasn’t done publicly. Now we’re using open source systems, including WordPress and CKAN. Most importantly, the development is public from the beginning on GitHub so you can see how the site came to be, and will continue to grow. We’ve already had significant help from the open source community and look forward to more. We’ve expanded our user testing and cannot wait to do more. Huge thanks to the people who participated! Usability review and upgrade of individual datasets. Did we miss something? Open an issue on GitHub! This article is very interesting and useful to everyone, thank you very much. As a web developer, I agree. this is interesting. This is very good and useful for me. Thank you very much.